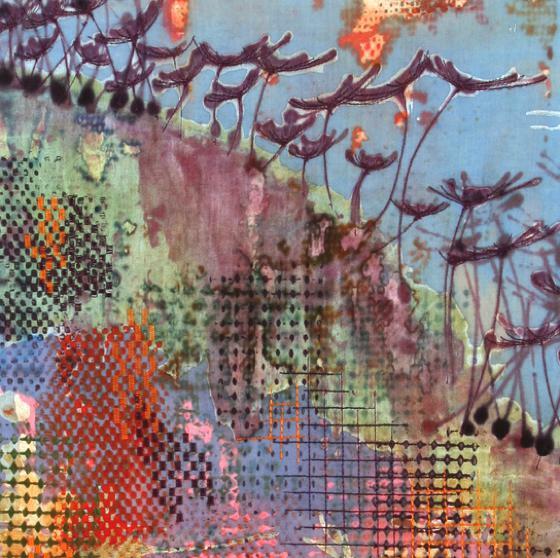 Here, a mosaic-collage with published posts in October on PatternPrints Journal. 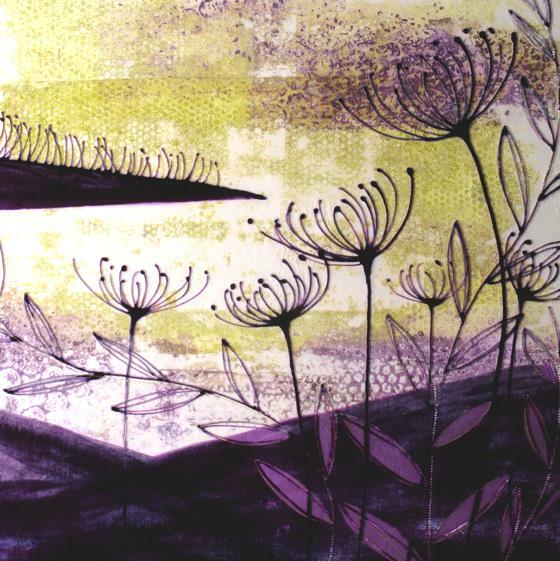 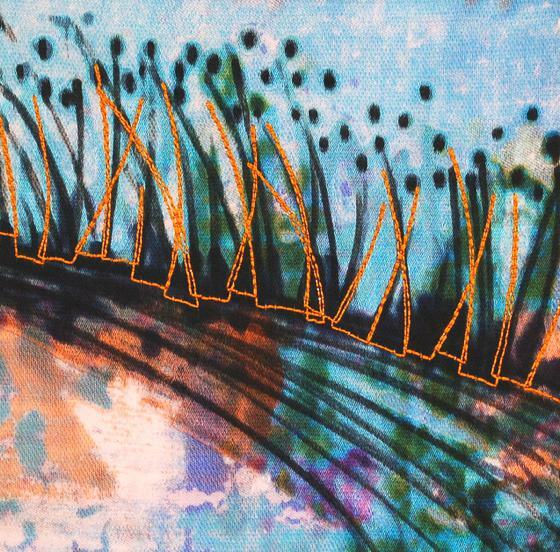 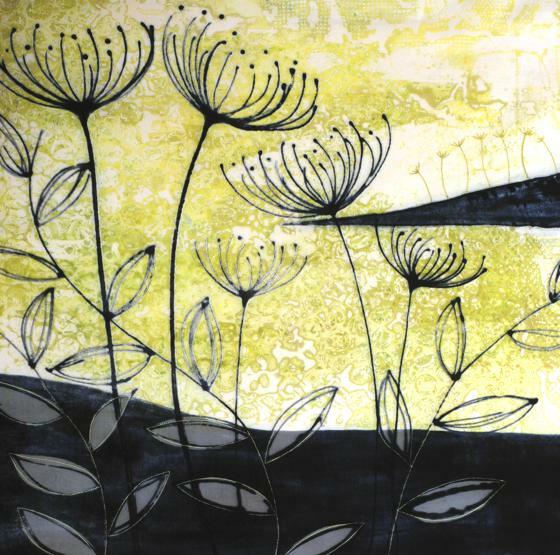 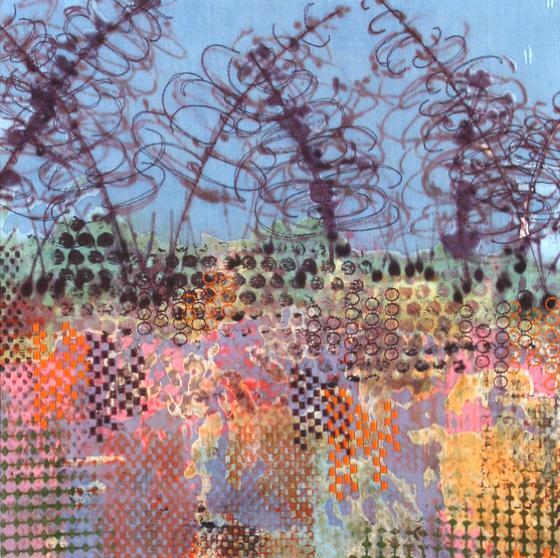 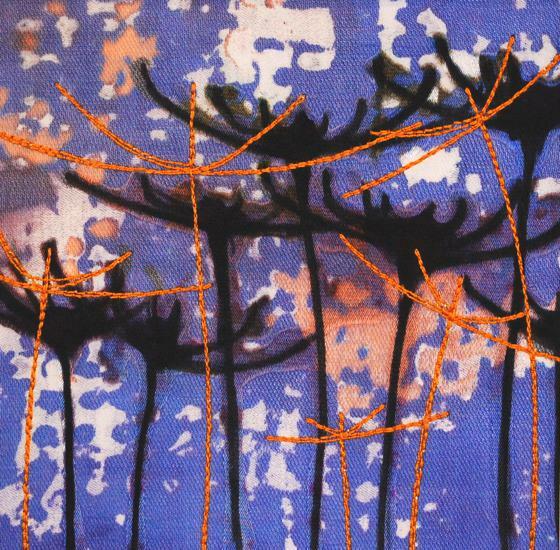 Catherine Green is a British textile artist with studio in Yorkshire. 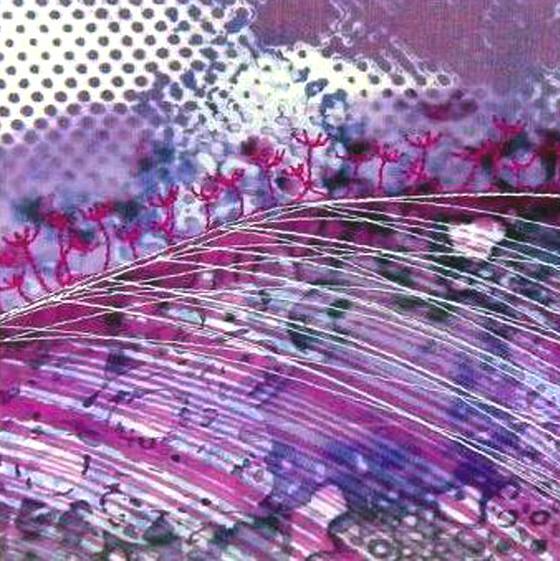 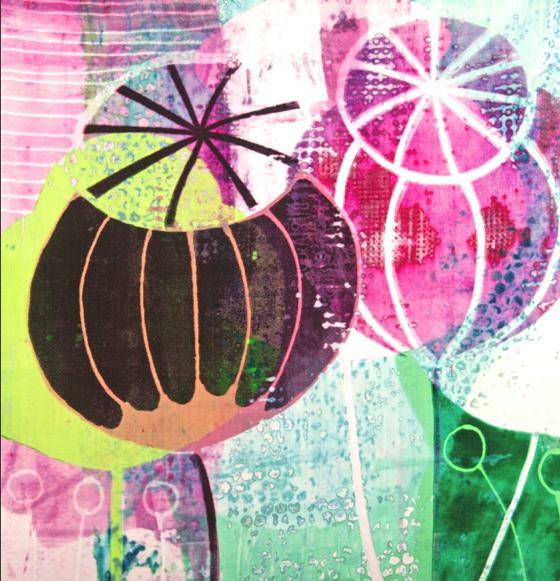 Her work includes printing with beautiful floral motifs and patterns, and sewing of fabrics such as velvet and satin to create vibrant, tactile pieces. 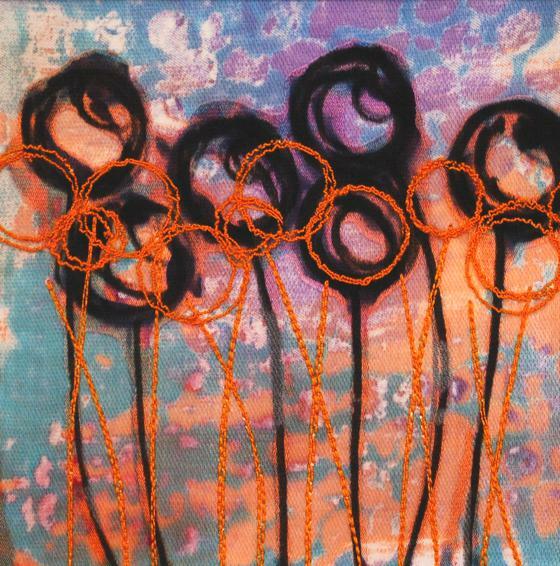 Catherine builds layers of dye, whether printed or painted, before using the devoré techniques, that by removing the fabric surface reveals the delicate silk underneath, creating an almost three-dimensional effect.